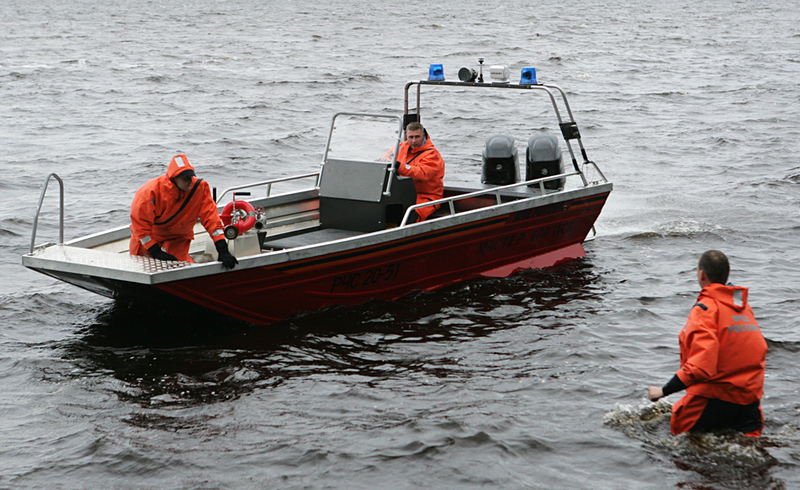 Rescuers on the Lake Syamozero in Karelia. Russian Emergency Situations Ministry rescue workers additionally inspected more than 200 sq km (about 80 sq miles) of territory as part of the search operation at the Karelian lake, the press service of the main department of the Russian Emergency Situations Ministry for the region said on June 21. "A rescue ground group additionally inspected 8 km of the coastline, and another 8 km of the coastline and 3 sq km of water area have been inspected via an unmanned drone. Aerial inspection by Russian Emergency Situations Ministry Mil Mi-8 and Kamov Ka-32 helicopters of 205 sq km has been conducted as well," the report said. Moreover, rescue workers with watercraft inspected 90 sq km of water area of Lake Syamozero; divers conducted 16 dives, during which 6,000 sq km of lake bed was inspected. The rescue work took all night, but the search has not yet produced any results. Currently 251 people and 55 units of equipment are engaged in the search operation. Weather conditions at the search site are favorable, the ministry said.